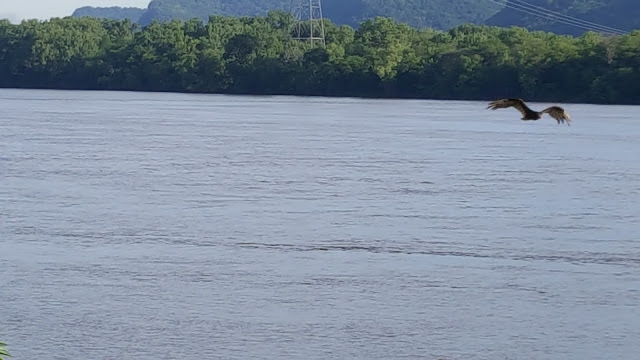 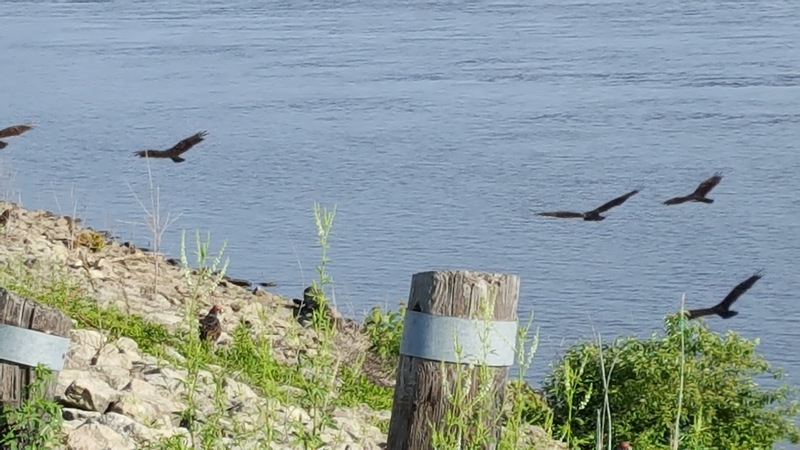 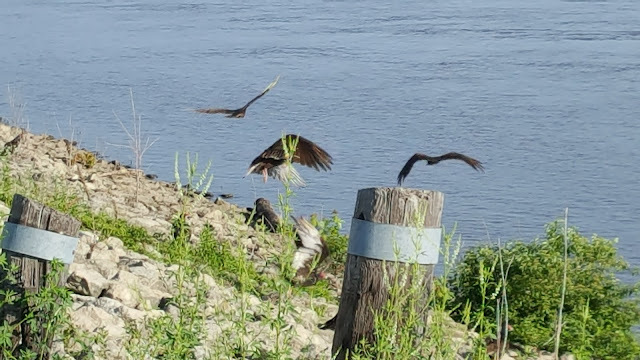 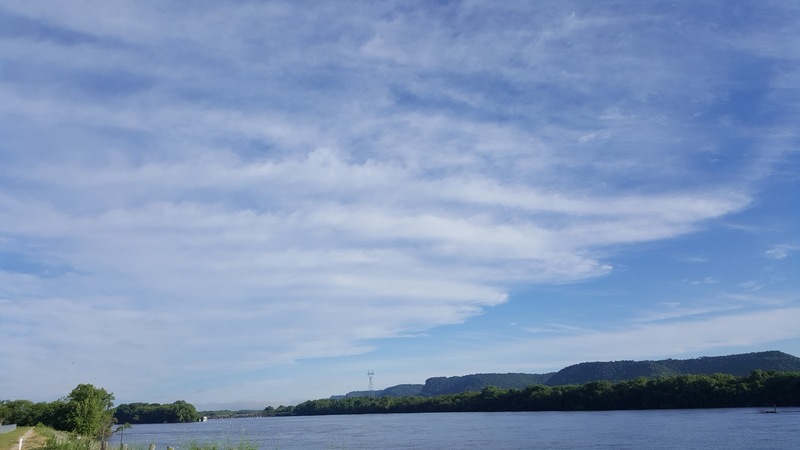 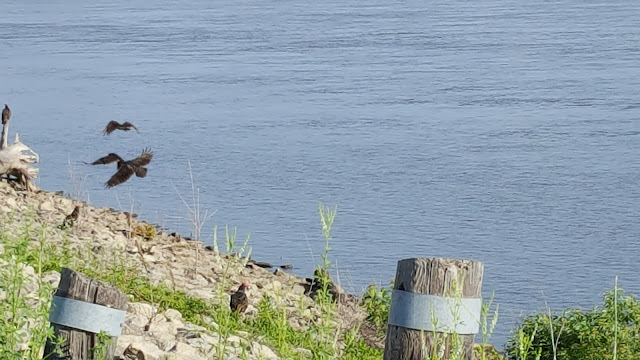 One of my river walks in June along the Mississippi River in Winona. 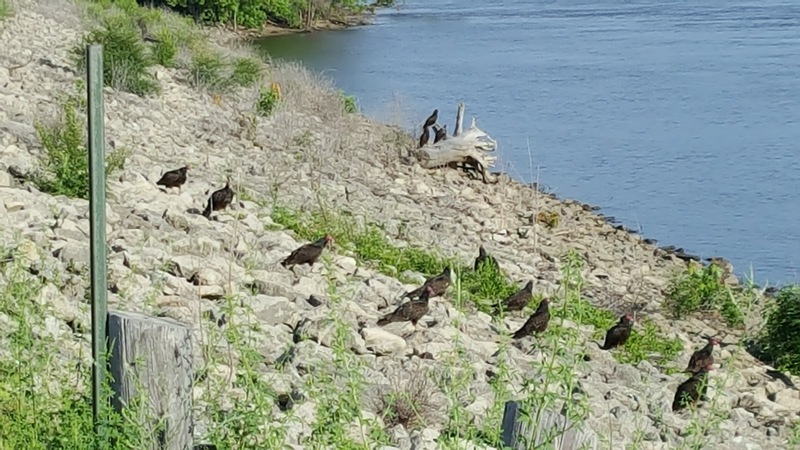 This whole group of vultures were sunning in the morning light. 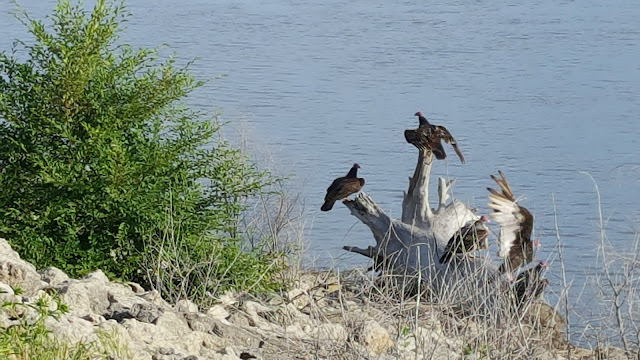 Sorry to disturb you. 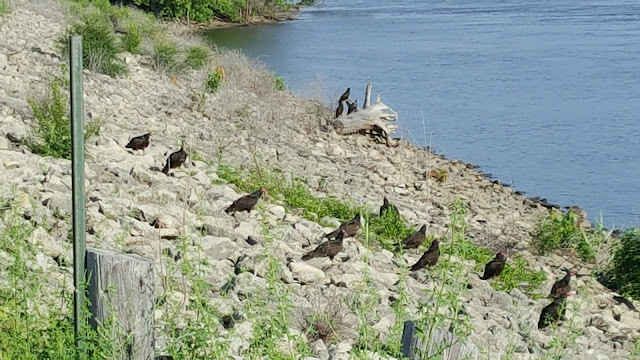 It was so amazing to see so many on the bank.